Closing day for Hamaatsa's land purchase marks a historic time of aboriginal land being restored to indigenous people. 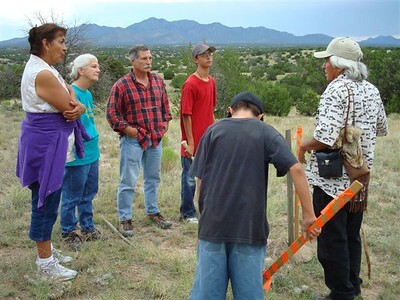 Our deep gratitude to the generous donors who made this land purchase possible, clear title and debt free! 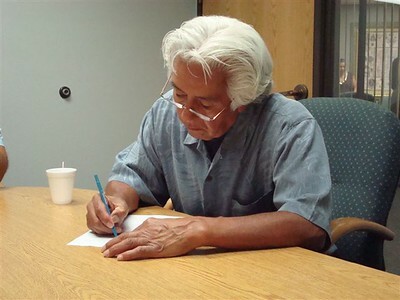 Larry Littlebird signing closing document for Hamaatsa's land purchase, July 31, 2007. 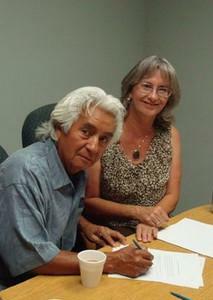 Founding directors, Larry and Deborah Littlebird feeling blessed at the closing for Hamaatsa's land purchase. 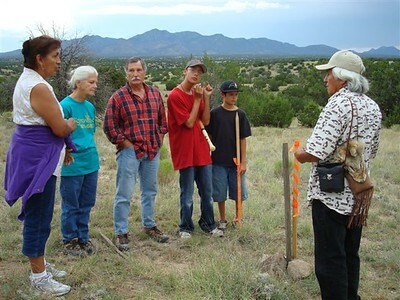 Following the closing, a few of us gather at the historic boundary marker for a time of prayer and thanksgiving to Creator. 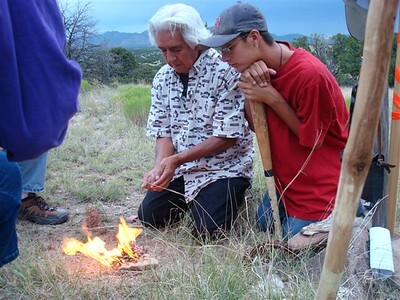 Littlebird prays and we all give thanks for this special place being restored to the stewardship of Pueblo people.